Now that "data scientist" has been declared this year's hottest job, it seems a safe bet that there are plenty of people out there calling themselves by that name but without the requisite skills. Enter Correlation One, a new, data science-specific job site focused on helping employers and qualified professionals connect. 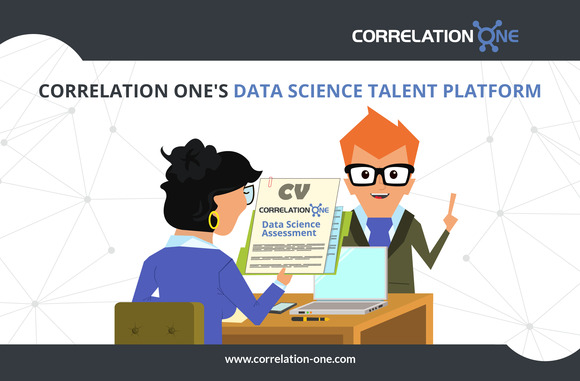 Billed as a matchmaker for data scientists and employers, Correlation One on Thursday announced its official launch, and it has some specific mechanisms in place to help the best-qualified data scientists rise to the top of the hiring pool. First and foremost, the company has created a battery of three- to five-hour tests designed to validate a range of skills, including data wrangling and visualization. Employers get a “report card” summarizing candidates' strengths and weaknesses across four dozen factors to help them identify the right people. Created and graded by Correlation One's own data scientists along with those on its advisory board, the tests are nonacademic, said Sham Mustafa, cofounder and CEO with the firm. Rather, focusing on data sets and real-world problems, the tests are meant to simulate a "day in the life" of a working data scientist. Along with the well-documented shortage of qualified data scientists, a lack of standards is another problem facing the field, Mustafa said in an interview on Tuesday. "There's nothing stopping anyone from calling themselves a data scientist." Using a patent-pending algorithm, Correlation One also extracts dozens of factors from a candidate’s resume and correlates them with employer preferences. That makes it possible to customize matches by industry, job type, and other characteristics. "Typically, recruiters and employers are used to looking at a limited number of factors, like where someone went to school, what degree they got and where they're working," Mustafa said. "We wanted to turn that model upside down." Currently, the company is working with just over 20 corporate clients. Overall, the goal is to help them make apples-to-apples comparisons among job seekers, he said. Correlation One now has about 800 data scientist job candidates listed on its site, and it's adding between 40 and 50 more each week, Mustafa said. Part of how it will keep that pipeline filled is by hosting datathon events. Essentially the equivalent of hackathons for data scientists, Correlation One's datathons offer challenges including interesting data sets that let data scientists show off their skills. "We've partnered with data aggregators for access to private data sets," Mustafa explained. "We formulate a problem statement and invite data scientists to come to events and solve problems." The company's first such event in New York City will take place this Saturday. Winning teams will get a chance to present their results to judges consisting of industry leaders in finance and media. "We believe data is the oil of the 21st century," Mustafa said. "We think this is going to be transformative."